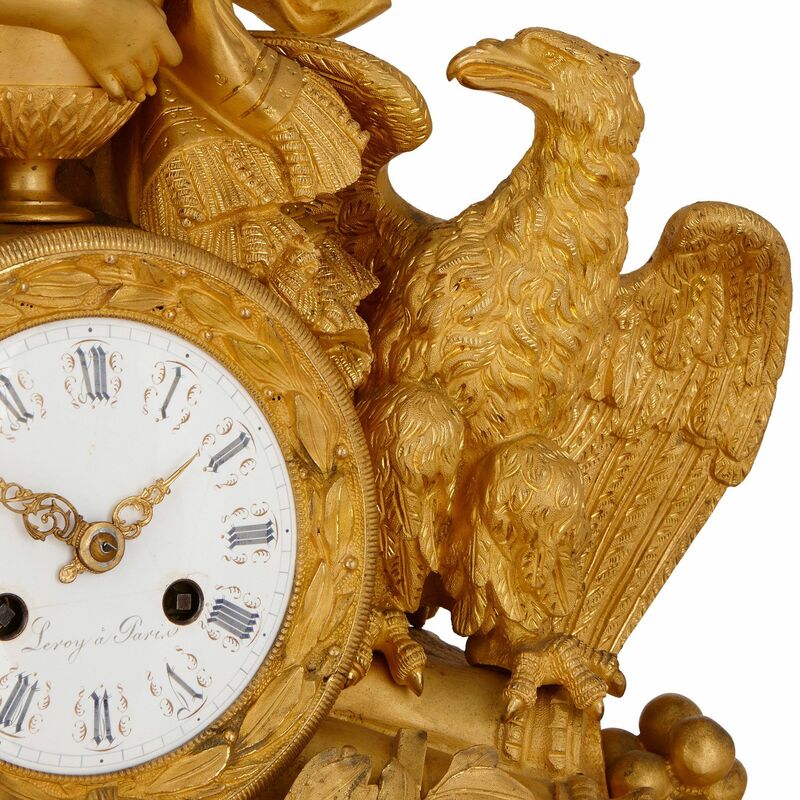 This triumphalist clock was produced by the important Parisian clockmaking firm Leroy, to commemorate the return of Napoleon's ashes to France in 1840. 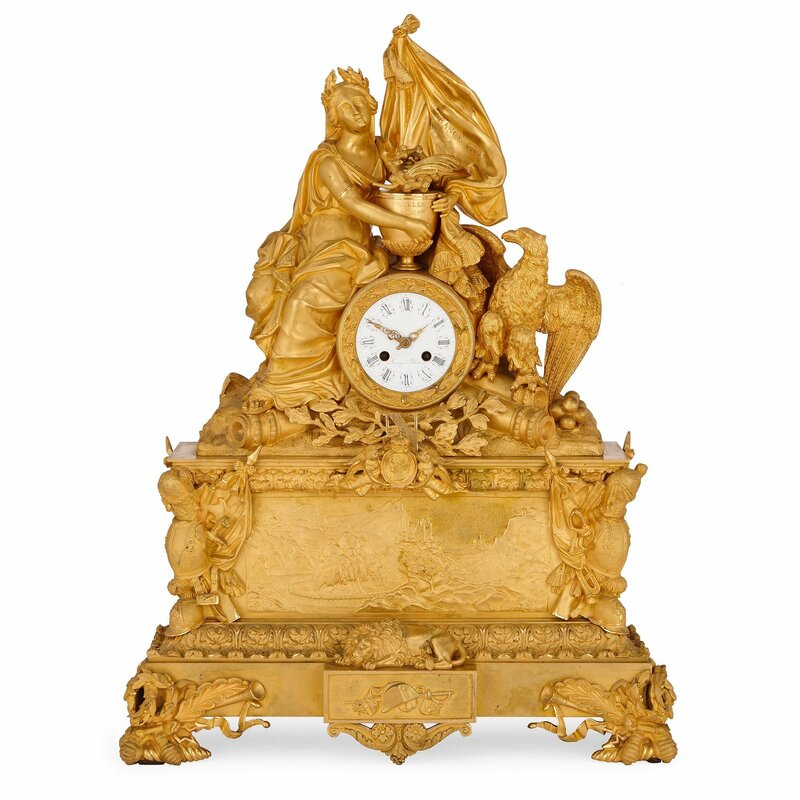 The clock case is crafted entirely from ormolu, and is set on a tiered base on four feet. The front two feet depict bees, ribbons, trumpets and garlands. 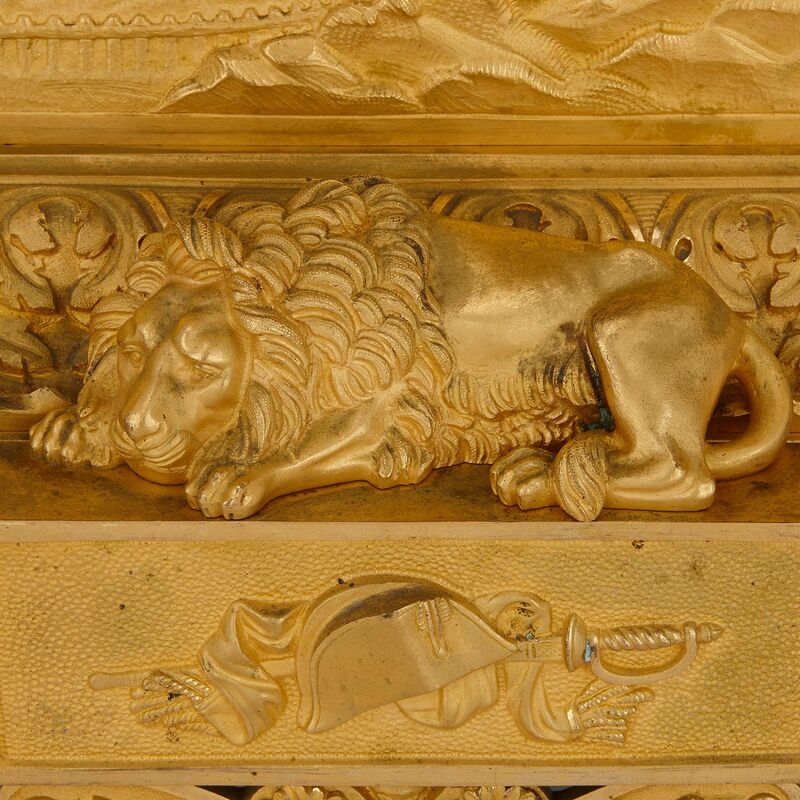 To the front of the bottom tier of the base there is a recumbent lion above a plaque depicting Napoleon's sword, hat and scarf. Above the lion there is a further plaque depicting a ship off St Helena (the island where Napoleon was exiled), either side of which there are mounted decorations in the form of martial trophies. 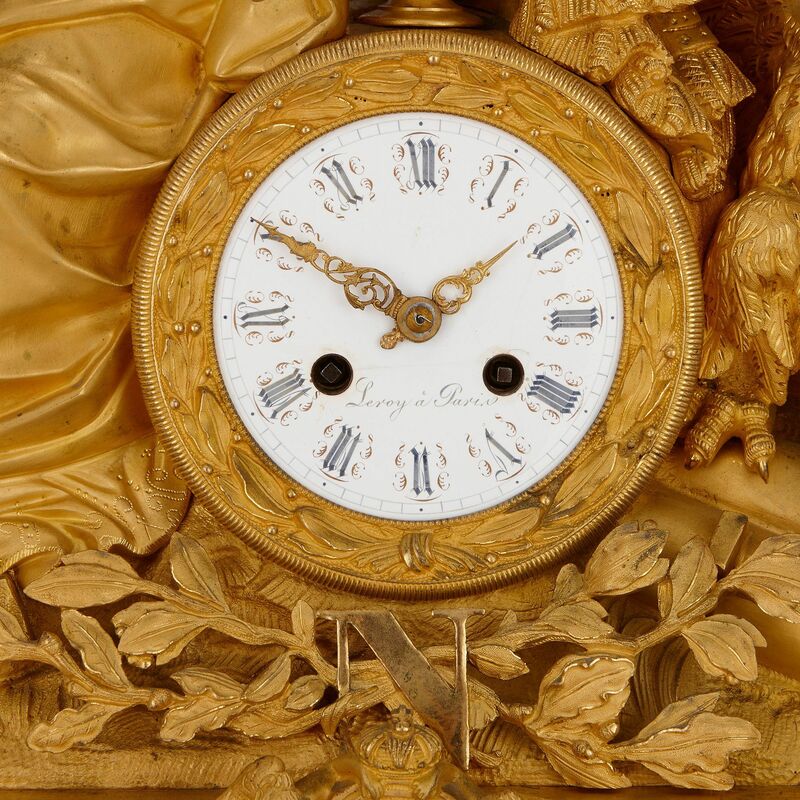 At the top of this plaque there is a portrait medallion of Napoleon held by winged cherubs with the letter 'N' behind. 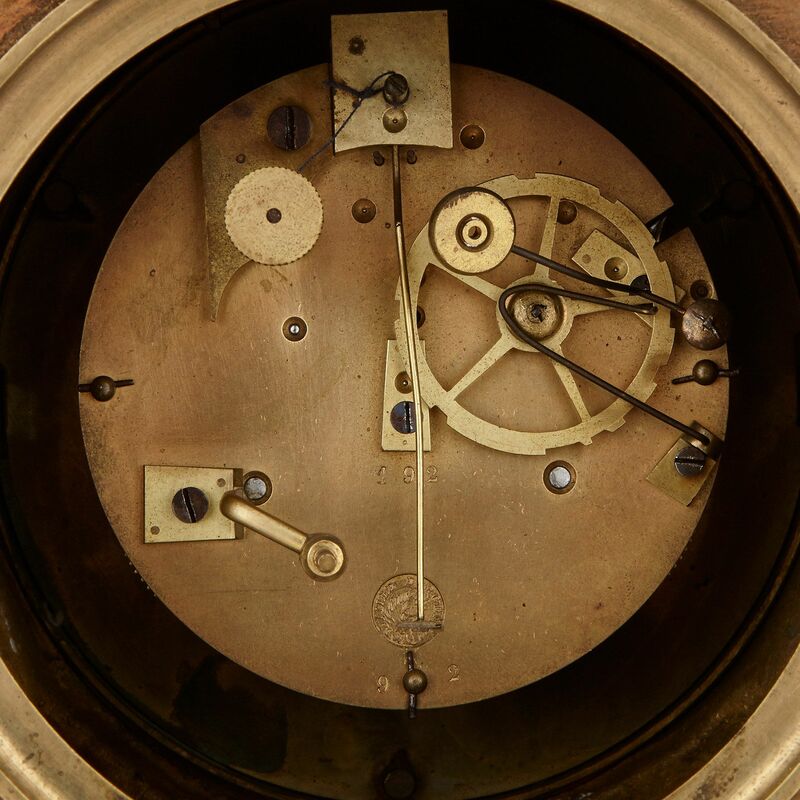 The central circular dial sits on top of the base. 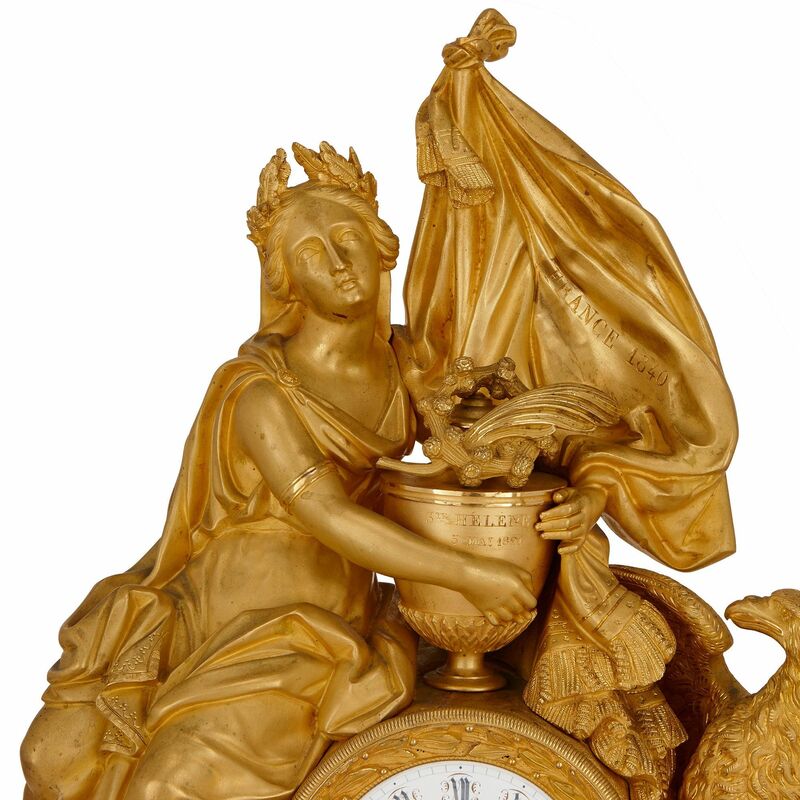 It is signed 'Leroy a Paris', and is set within an ormolu case with an eagle and the figure of France at either side. They are shown holding an urn which is inscribed 'Ste. 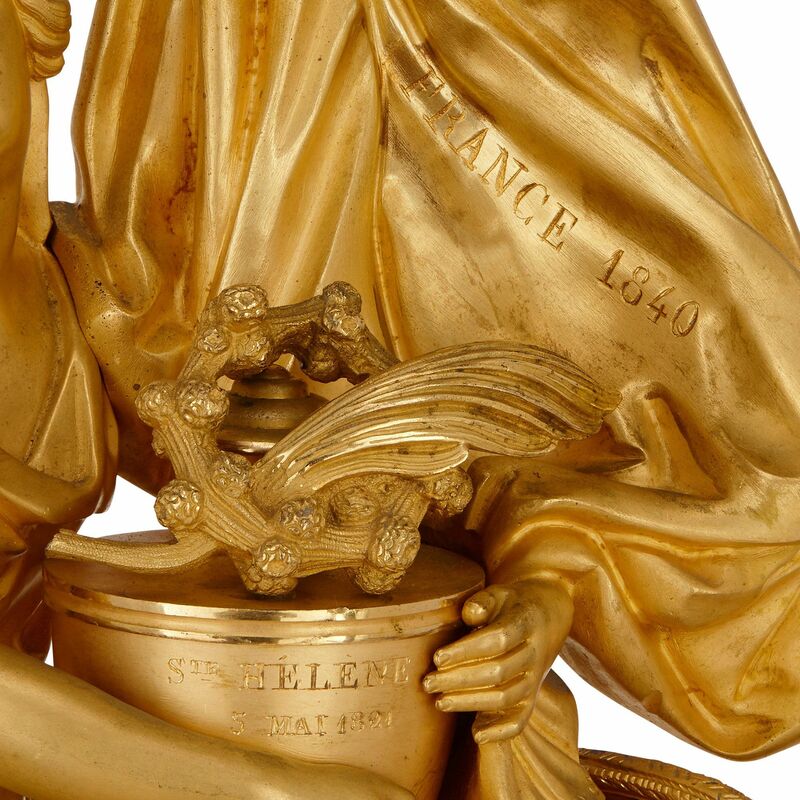 Helene / 5 Mai 1821' and the figure of France is shown holding a flag which is inscribed 'France 1840'. 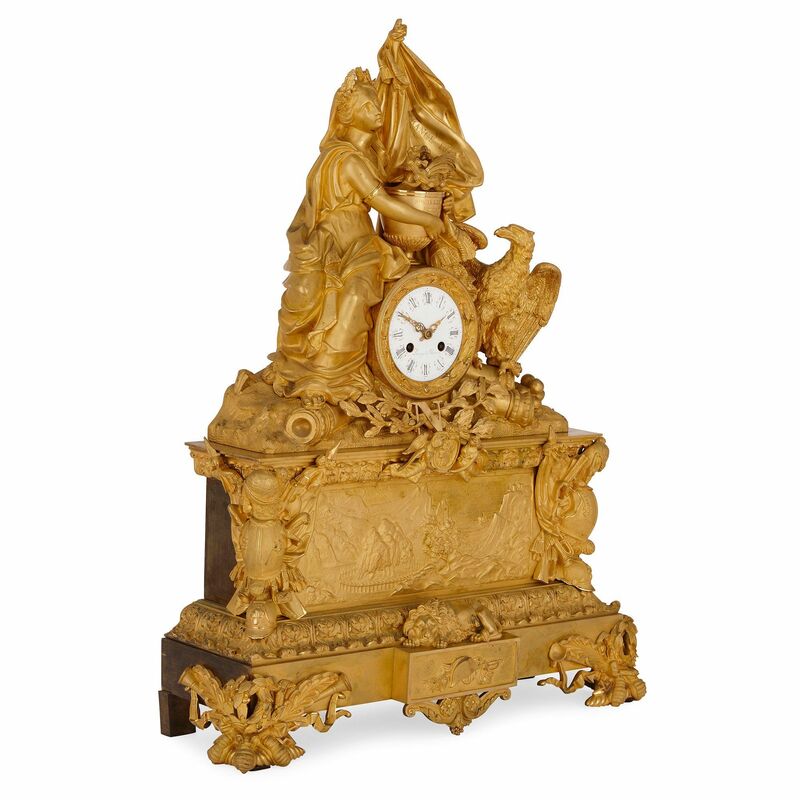 Parisian clockmakers Leroy et fils produced this clock in 1840 to commemorate the 'Retour des Cendres' (return of the ashes). Napoleon had originally been buried on the island of St. Helena, where he spent his last years in exile. It was not until 1840 that the British gave king Louis-Phillipe permission to return Napoleon's remains to France, where he received a state funeral. The remains currently reside beneath the dome of Les Invalides in Paris, where they have been since 1861.